The American Health Care Act dramatically changes how the federal government funds health care coverage for children. Historically, federal and state government shared the financial costs of providing health insurance to kids. That could change, since the American Health Care Act caps and cuts Medicaid, ends the long-standing relationship and shifting the risk of health insurance to the states. 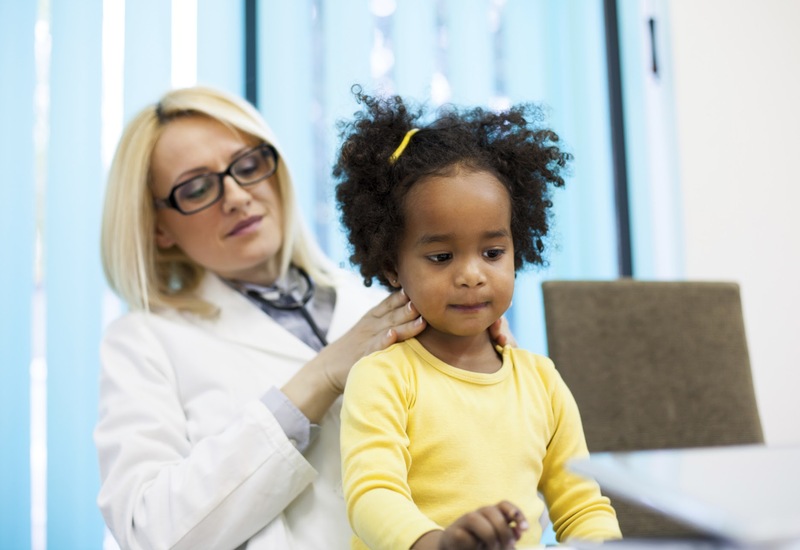 Medicaid provides health insurance for vulnerable Americans, primarily children. 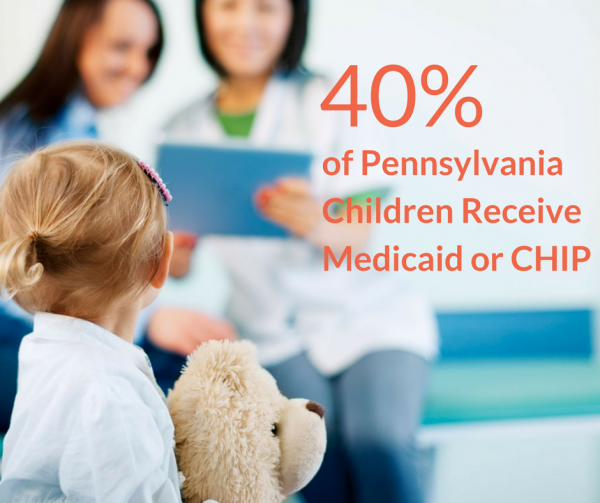 In Pennsylvania, 43 percent of Medicaid recipients are kids. That’s four out of every 10 children across the commonwealth. 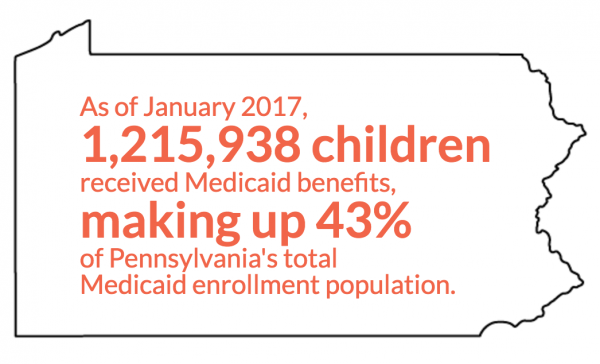 Most Pennsylvania children, more than 40 percent, receive health insurance through public program, like Medicaid or CHIP. The dramatic cuts to Medicaid, alongside caps, mean governments must choose winners and losers amongst the most vulnerable citizens, potentially asking states to choose which children deserve what kinds of care. Health care is an investment in to children. Medicaid allows children to thrive at school and in the community. School districts receive Medicaid funds to help pay for special education services that are required by law, so that children can receive an education. Medicaid supports mental and behavioral health for children, ensuring that they get needed supports early and stay in traditional school settings. Medicaid pays for care for children with the most serious health conditions. Commercial insurance limitations makes it impossible for the sickest kids to access care. Medicaid allows families to take care of their children without fear of bankruptcy. 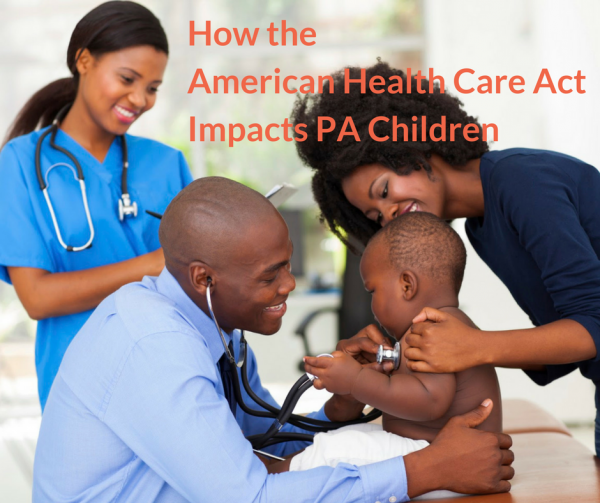 Lawmakers must prioritize children’s health. Pennsylvania state senators need to hear from you! Contact Senators Bob Casey and Pat Toomey today and urge them to vote against to oppose the AHCA’s changes to Medicaid. Sen. Robert P. Casey, Jr.
Want to receive updates about Allies for Children’s advocacy efforts around this issue? Click here to sign up for the e-newsletter distribution list.